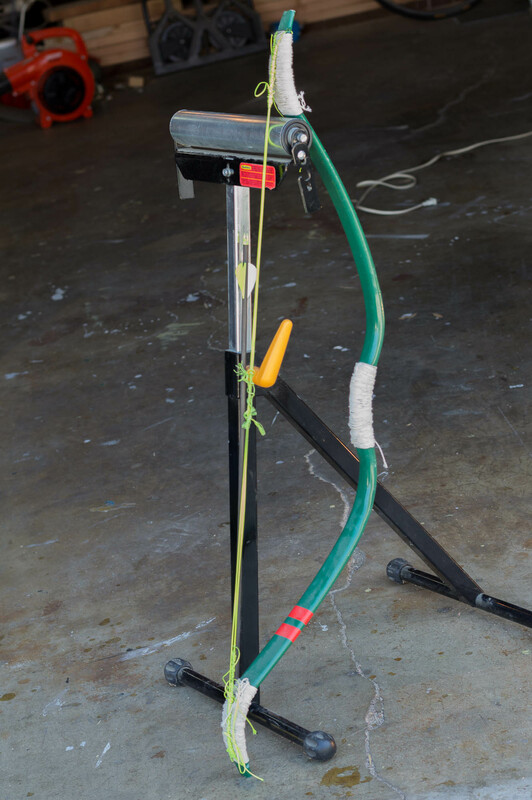 This is a recurve bow made from schedule-40 PVC pipe. 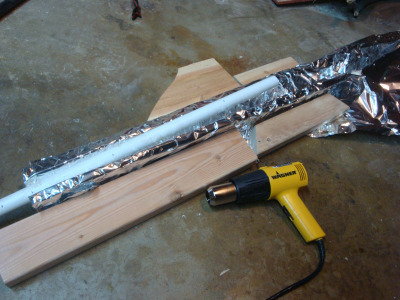 The pipe was heated with a heatgun until pliable and then molded into shape. It was built by following BackyardBowyer’s tutorial on Youtube. 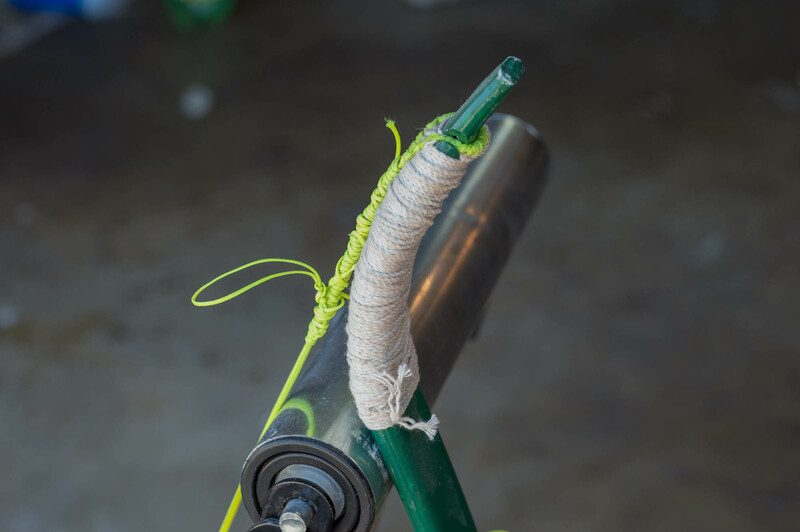 I used around six strands of Dacron fishing line for the string. The bow has a draw weight of twenty pounds and doesn’t shoot very well. This project was completed in the summer of 2012.